The Barack Obama legacy isn’t what he would like to think. But the fact terrorism thrived in the Era of Obama. 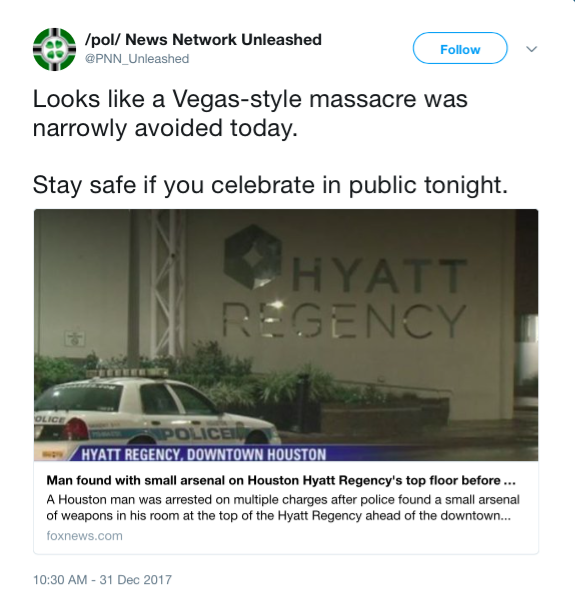 And yet another terror act was foiled, this one in Houston, Texas. 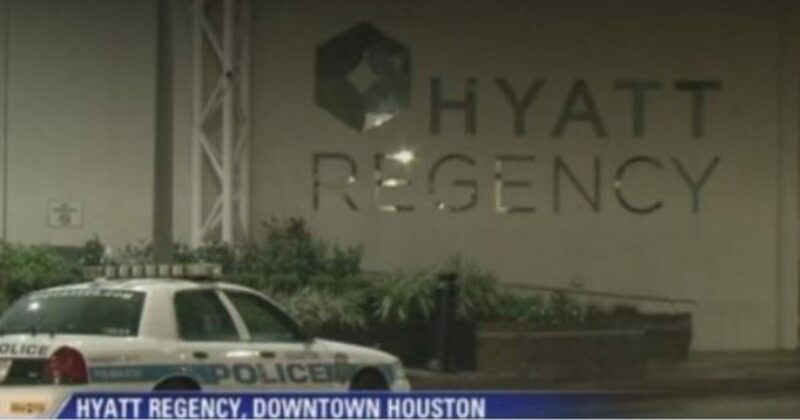 A man has been arrested on multiple charges after police located a small arsenal of guns on the top floor of the Hyatt Regency on Louisiana Street downtown, Houston police said. The man was arrested for unlawfully carrying a weapon and trespassing. When investigators looked into his room further, they located an AR-15, a shotgun, a handgun and lots of ammunition, Macintosh said. One doesn’t have to think back to far to understand the potential. Certainly Las Vegas comes to mind. Hyatt commented on the incident, saying police were still investigating. The normal questions that point to Muslim terror? The authorities won’t release the name of the person involved. Sadly, less than a decade ago New Year’s was a relatively safe event, for most a mere formality. Believe it or not, there are places where New Year’s was canceled due to the cost of providing security. In Germany, they set up “safe zones” for women, since they had so many sexual assaults by Muslim men last year. Amazingly, Leftists want this to be the “new normal”.